'Phenomenal One' flies past another WWE icon as reign continues. 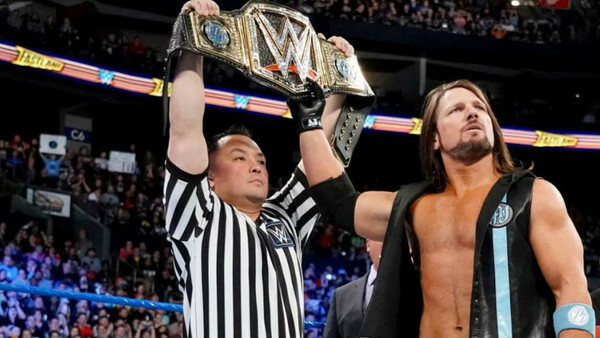 Just a week after entering the longest reigning WWE Champions list ever, AJ Styles has moved up the rankings yet again at the expense of recent returnee Hulk Hogan. After escaping the Manchester SmackDown Live television tapings with his WWE Title in tact, ’The Phenomenal One’s 366 days with the blue brand’s belt sent him shooting past ’The Hulkster’s iconic reign with title between WrestleMania V and VI. In the year since Styles liberated the richest prize from Jinder Mahal, he’s rolled over Sami Zayn, Kevin Owens, Shinsuke Nakamura and Samoa Joe, and has a Survivor Series rematch against Brock Lesnar next on his agenda. Reframing how WWE books top titles, Styles has been the first longstanding babyface steward since John Cena in 2007. Only Hogan and Randy Savage held court for so long with the strap before then. It’s there where comparisons between the two tenures screech to a halt. 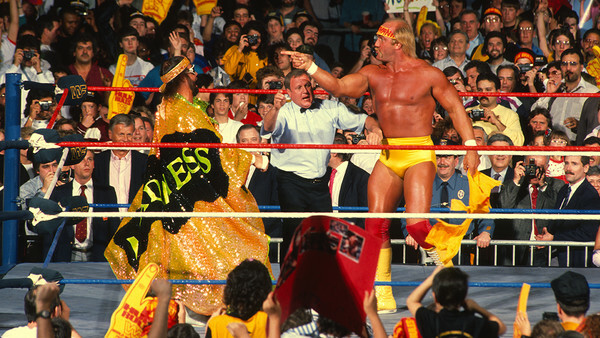 The Mega Powers exploding over the gold at 1989’s ’Show Of Show’s drew (at that point) the biggest buyrate in company history, with Hogan and Savage’s protracted hostilities (along with special guests Brutus Beefcake and Zeus) carrying Hulk’s second stint with the title beyond the ‘Grandest Stage’ through the rest of the year. A loss to the Ultimate Warrior at WrestleMania VI proved to be the end to the company’s original golden era, as Hogan tiptoed closer to Hollywood. Styles is rapidly approaching The Macho Man as well - he’ll sneak past Savage days before his blockbuster battle with Brock.